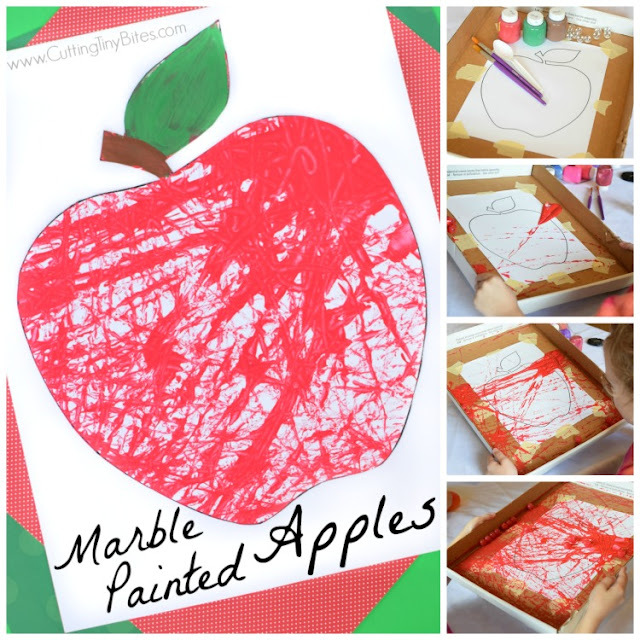 Make sure you add some process art to your fall activity line-up this year with these Marble Painted Apples! My girls have done this type of painting several times, and they're excited about it each time! It's really fun to watch the paper slowly get covered with paint, even though it seems like such little progress is being made. 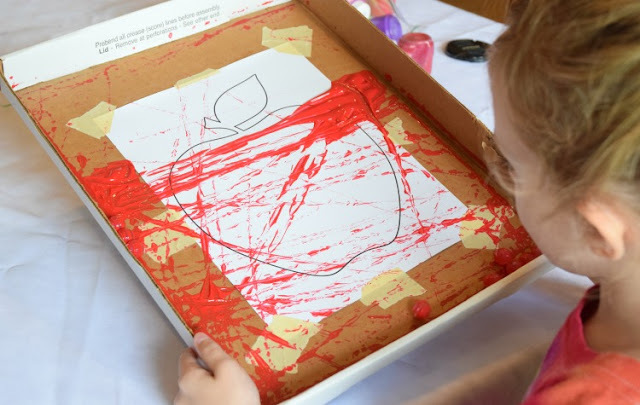 It's also great fine motor work for them to try to tip and gently shake the box just the right way to get the marbles to move. I think your kids will really enjoy this project just as much as mine did! You probably have everything you need for this project at home already. Here's what you need! 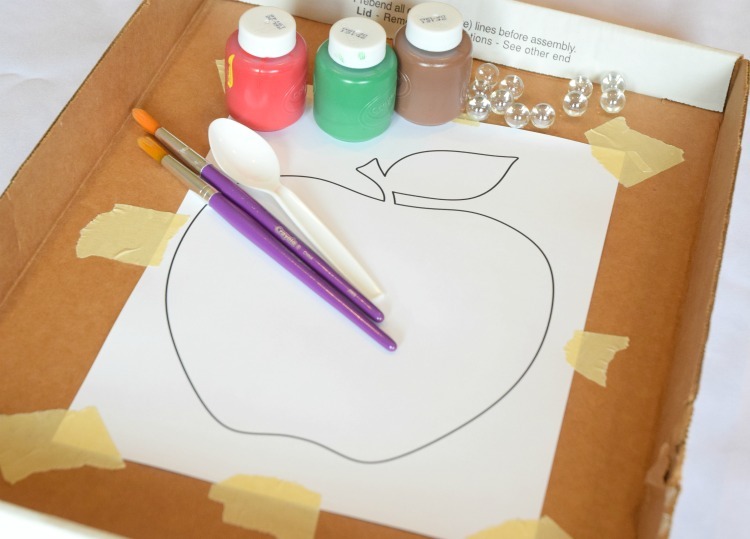 Print your apple template (or free hand draw one if you're brave!) and tape it inside the box lid. 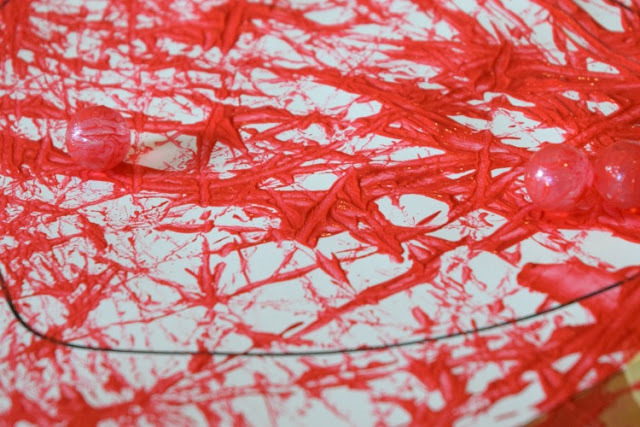 Squirt or pour little dollops of paint in several places around the lid. Add some marbles. Let your child start rolling the marbles back and forth. It takes a while for the marbles to get sufficiently covered in paint, but keep rolling! 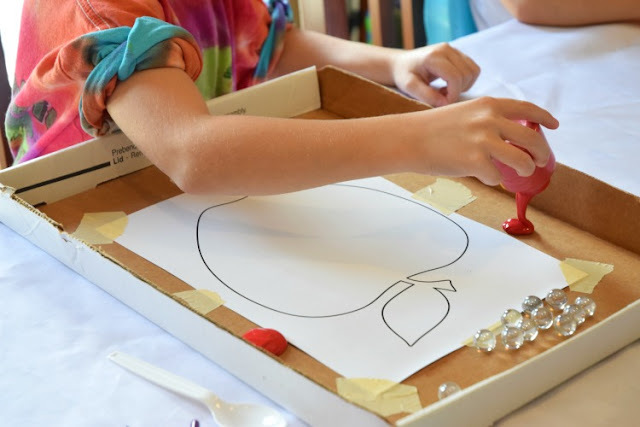 If the marbles get stuck, you can use a plastic spoon or paintbrush to nudge them along their way. 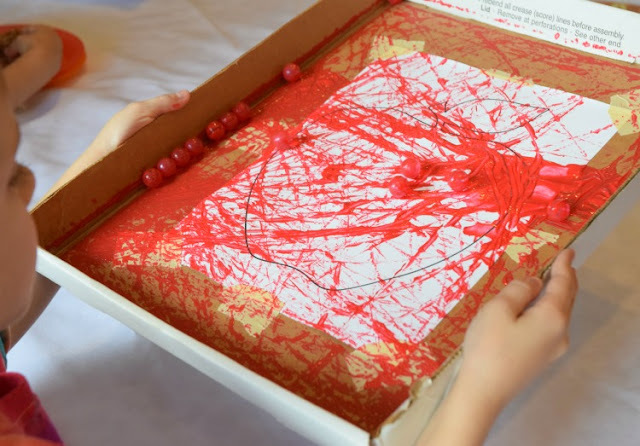 Depending on the age of your child, you may want to stand nearby to be sure they're not rolling too vigorously-- you don't wait paint covered marbles to jump out of the box and roll around your house! Lena (young 6) was able to manage this just fine on her own. Maggie (4) needed a little more supervision, but overall did well with just the right amount of rolling and shaking. 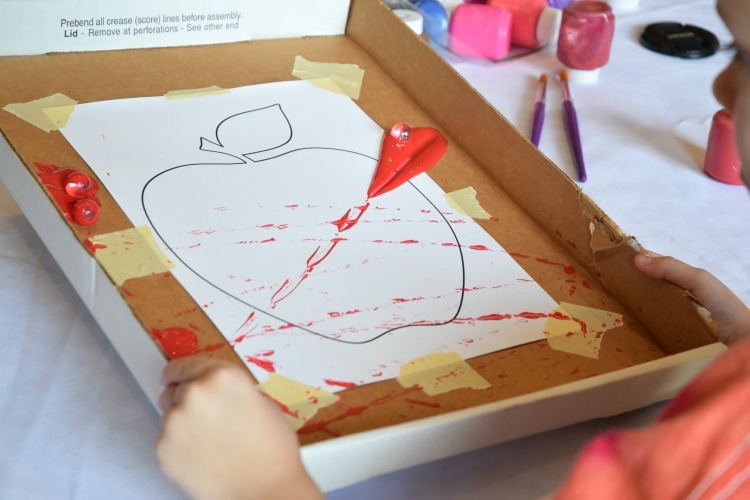 Watch as the apple slowly gets covered with red paint! 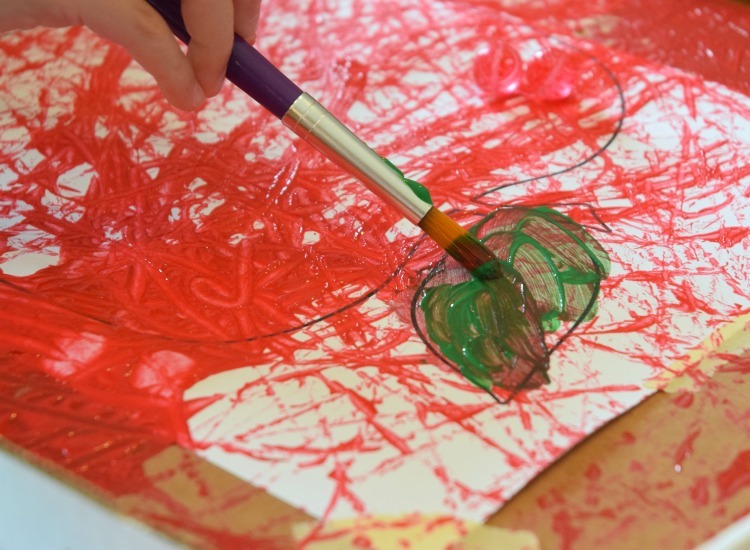 When your child is satisfied with their work, use a paint brush to add a green leaf and brown stem. We ended up adding 2 coats of paint so that the colors would show up better. Set the apples aside to dry. 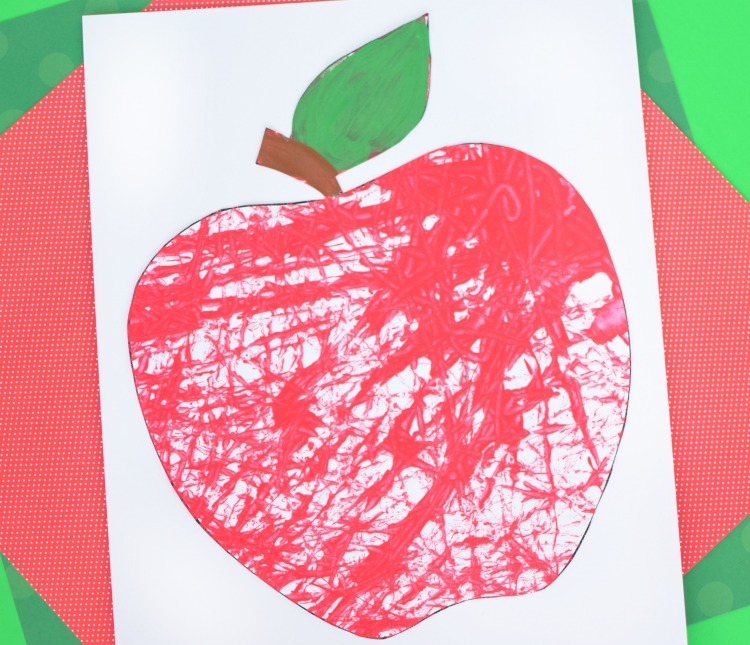 When the painting has dried, let your child cut out the apple and glue it to a separate sheet of paper. 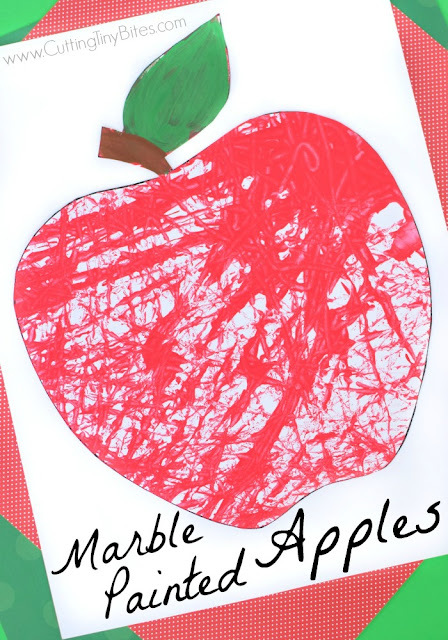 Marble Painted Apples- fun fall process art activity for preschoolers, kindergarteners, or elementary kids. 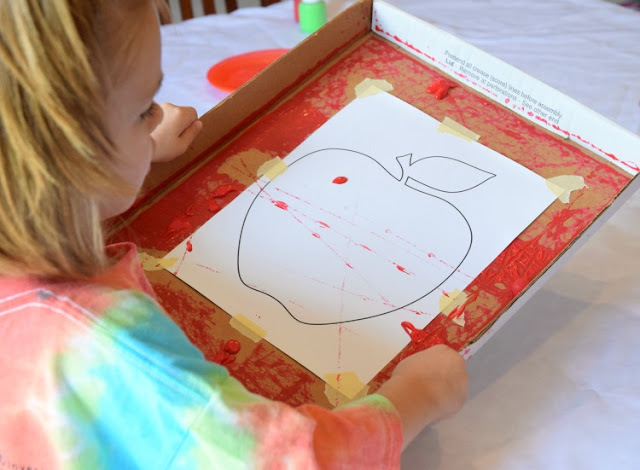 Simple materials for this painting craft!